Heat oven to 375°F. 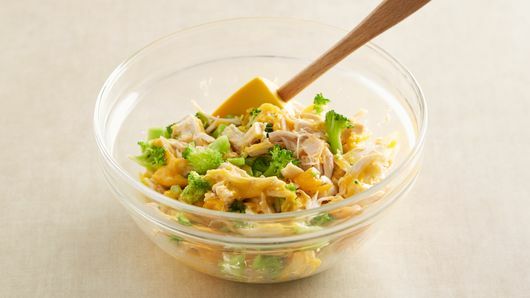 In medium bowl, mix broccoli, chicken and cheese. Microwave mixture uncovered on High 30 to 45 seconds or until cheese starts to melt. 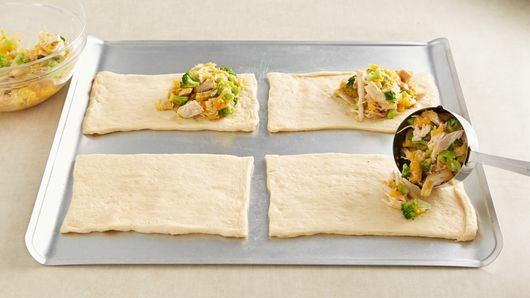 Unroll dough; cut into 4 (6x4-inch) rectangles. Place dough rectangles on ungreased cookie sheet. Top half of each short side of rectangle with about 1/2 cup broccoli chicken mixture. 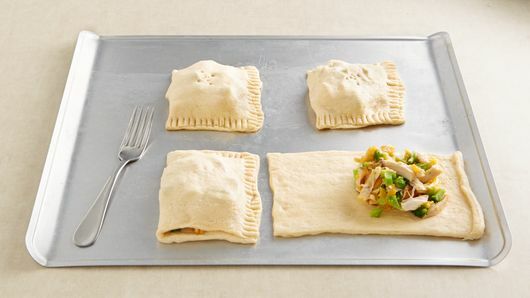 Fold dough over filling, firmly pressing edges with fork to seal. With fork, prick top of each foldover to allow steam to escape. 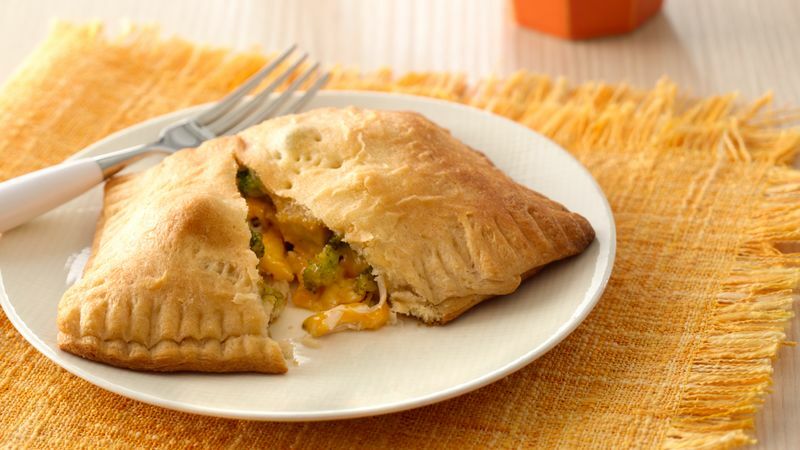 Shredded Monterey Jack or American cheese are good substitutes for the Cheddar in this recipe. Serve with a fresh, green salad and a side of fresh fruit to complete your meal.